State Bicycle Company is a six-year-old company based in the Southwest, which carved their niche in single-speed and fixed gear bikes. They sell their bikes customer direct via their website or through over 400 dealers worldwide. 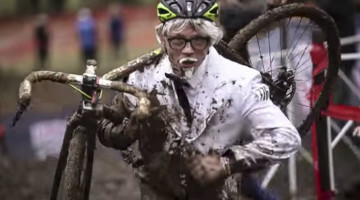 Over the years they have branched out into road, off-road and city bike riding. 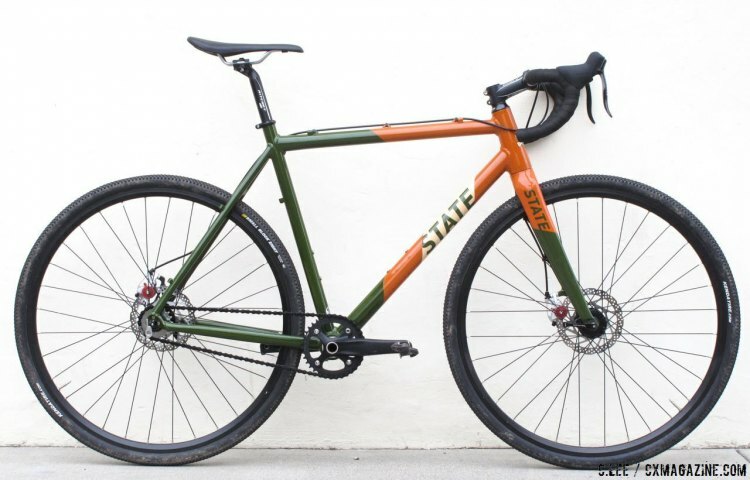 Last year, State Bicycle Company added two cyclocross bikes to their off-road division, bringing their offerings to full-scope without forgetting their roots in the single-speed movement. 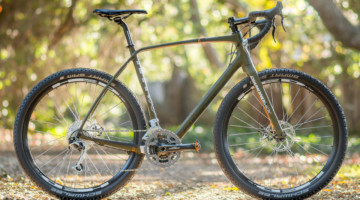 Naturally then, both cyclocross models are single-speed, though the Thunderbird that we received for review is convertible to geared should the rider be interested in venturing to the dark side. 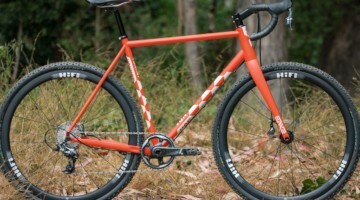 The State Bicycle Company Thunderbird is a dedicated single-speed cyclocross bike, constructed of 6061 aluminum tubes tig welded in Taiwan and finished with attractive paint and graphics. The Thunderbird uniquely has a 46mm internal diameter 68mm wide BB, the same dimensions as a PF30, but with set screws for the eccentric BB. In our experience, this works better than a wedge or pinch bolt clamp style system for securing the eccentric to maintain chain tension. 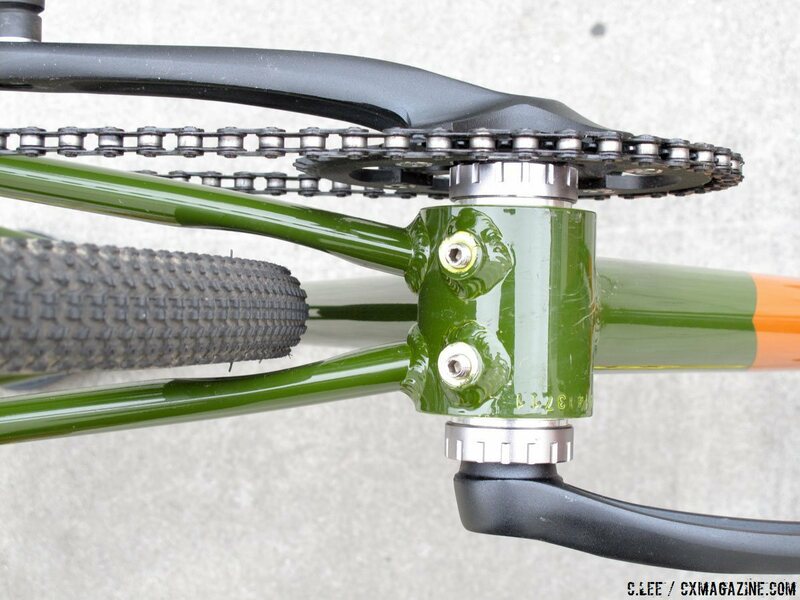 That bottom bracket is set high with a 54mm drop. Each of the round tube diameters is large, with a huge down tube as the foundation. 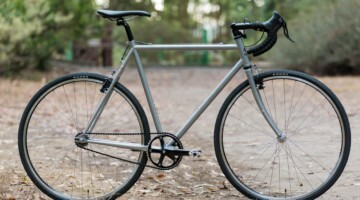 The head tube is tapered externally to accommodate a tapered steerer fork. The fork is painted to match with carbon blades attached to an aluminum steerer and crown, with aluminum fork ends. Our 56mm frame had 42.5cm chainstays (though listed as 42.0), with 610mm front center that equals out to 102.6mm for the total wheelbase. The heat tube angle is listed as 71.5 degrees, which contributes to the slightly long front center. Provisions exist to convert the Thunderbird to a geared machine. 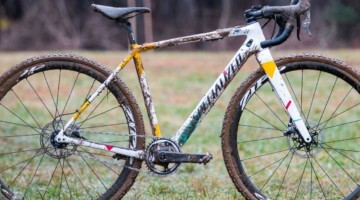 The frame has top tube cable stops for derailleur cables with a cable stop on the back of the seat tube for the front changer, and rear derailleur cable stops along the right chainstay for a traditional ’cross setup. The rear dropout faces can be replaced with one that includes a derailleur hanger, as ours came equipped with.